To achieve the goal of developing an industry leading trade entry platform, Vision’s user interface specialists have worked hand-in-hand with our programming team to incorporate a design which we call, “fast and friendly.” Upon first look, traders will notice that all major features are only one click away, including a wide array of real-time quoting*, charting, news and technical analysis tools. Whether you day-trade the E-minis and rely on depth-of-market, or place sophisticated multi-leg options spreads and need option Greeks, or possibly take long-term futures and/or option positions, Vision Advantage is the platform you have been waiting for. Ask your broker about Vision Advantage and learn what a difference it can make in your online trading. * Exchange fees associated with the use of real-time data may apply. Charting and analysis application results are generated utilizing data that may be up to 30 minutes delayed. Place your own simulated trades in your own trading account. Your simulated trading account provides you with $50,000 worth of trade equity every day for 30 days. 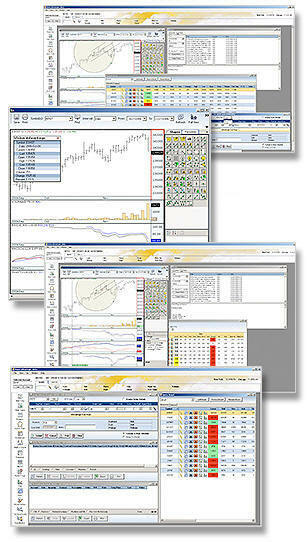 Test your trading strategies and test the Vision Advantage without cost or obligation. Please provide the information below to receive your free access codes to enter the Vision Advantage free demo internet web site. PLEASE VIEW THE ONLINE INSTRUCTIONS FOR USING THE POWERFUL VISION ADVANTAGE.